Handmade soap, made in small batches,hand-blending oils, butters and other ingredients to deliver deeply satisfying and luxurious soaps to make every bathing experience a beautiful one! A blend of shea butter and skin nourishing oils whipped into a luscious cream that penetrates deep to soothe, heal and pamper your skin. These little beauties can be used all over to soothe dry skin, sunburn, diaper rash and stretch marks. A little goes a long way! Especially effective if used when skin is still warm and damp after bathing or showering. 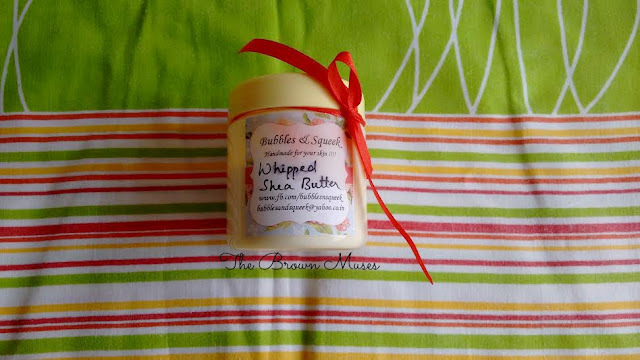 Ingredients: Shea butter, jojoba oil and fragrance oil. The body butter contains shea butter as the main ingredients which has countless benefits for the skin. Shea butter is considered a super food for the skin as it is rich in precious constituents such as unsaturated fats with a large proportion of non-saponifiable components, essential fatty acids, vitamins E and D, phytosterols, provitamin A and allantoin. It also contains jojoba oil which is known for it's moisturising properties. I use the body butter daily after bathing on damp skin and it provides intense moisturisation which remains for next 5-6 hours (maximum). 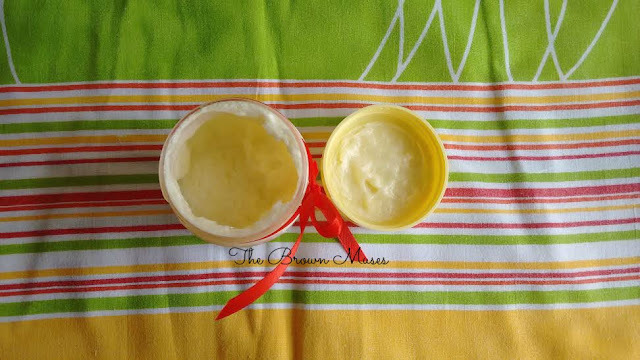 The body butter has a lovely fruity fragrance which lingers on the skin for a long number of hours (once it stayed on my skin for 12 hrs even after fading) which is very very impressive! I love the fragrance! When I received the product and removed the screw lid I couldn't stop smelling it as it smells THAT good. I also noticed that it made my skin smooth after regular use. The body butter may seem pricey to some but since very little quantity is required, a 60 gm jar should last you for more than a month if used daily. To conclude, this is a great body butter to combat dry and parched winter skin. Will I recommend: Why not?! Contains goodness of shea butter and jojoba oil. Makes the skin smooth after regular use. Smell lingers on for hours. Provides intense moisturisation which stays for maximum 5-6 hrs.